During both World War periods restrictions prevented use of metal for decorative purposes. To survive, we turned to “war work” by approaching our clients, some of whom were business owners or managers, asking what industrial products might be manufactured using our skill sets. Decorative forging skills were converted to producing industrial tools such as tongs … which we actively furnish to companies throughout the USA today. Other fabrication skills such as forming and welding were gradually developed. Today, this side of our company, Rose Metal Industries, LLC, has grown substantially. 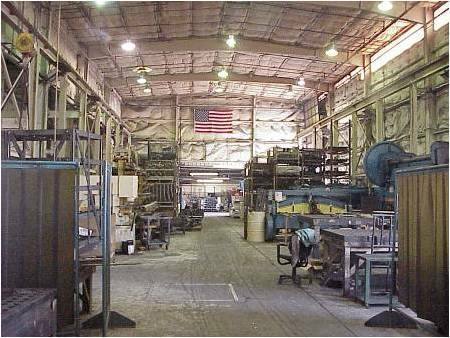 We fabricate metal items for a wide variety of industrial markets including Heavy Truck, Primary Steel, Aircraft, Molten Metal Processors and other manufacturers. Key accounts include: GE Aircraft Engine, Meritor, Hendrickson, Republic Engineered Products, International Steel Group and other industry leaders. Core competencies include robotic MIG welding of commercial and military vehicle components as well as design and fabrication of high temperature resistant equipment for heat treating and other thermal treatment processes. We are registered to ISO 9001: 2008. 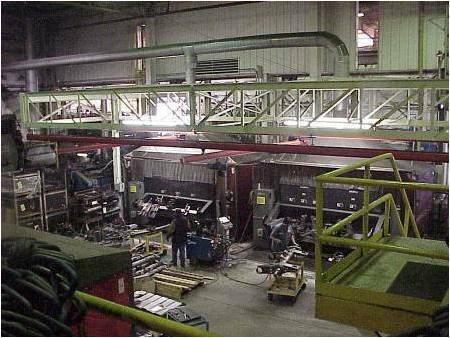 We welcome you visit to our “industrial web site” www.RoseMetal.com.